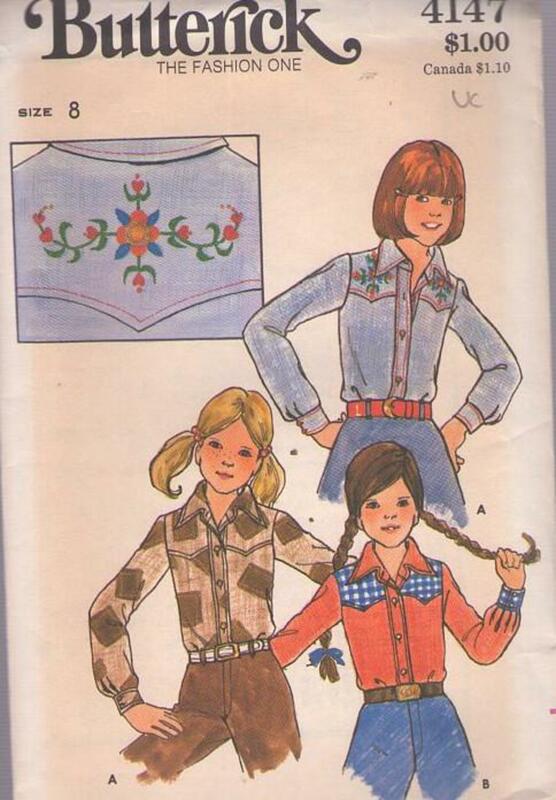 Bust 27", Waist 23.5", Hips 28"
70s Children, Retro Hippie Clothing Patterns - GIRLS' SHIRT& EMBROIDERY TRANSFER. Semi-fitted shirt has pointed collar-on-band, shaped front and back yokes, front buttoned band closing, full length sleeves pleated into buttoned cuffs, and topstitch trim. Solid or bi-color. Instructions and transfers included for embroidery.